Wow, is it really Thursday again? The weeks are passing by so quickly at the moment. I want them to slow down a little. This week in My Creative Space, there has been lots going on (again) Yay to that, I say! 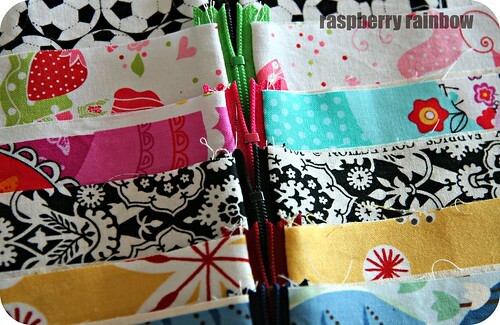 Of course, more zippered pouches are being made. Always the zippered pouches. I am seriously addicted to making them. I am slowly building up some stock, ready to open my etsy store. Soon, soon, I will get there. I was buzzing last Friday as I sold a total of 7, yes seven, zippered pouches to two separate friends here in Hong Kong. It is such a thrill to see people love your creations. Abbey is so excited to finally have some wobbly baby teeth. She has watched so many of her friends lose their first, and subsequent teeth. It was not until a few weeks ago that she got her first wobbly tooth, now there are 3 wobbly ones that I can tell. 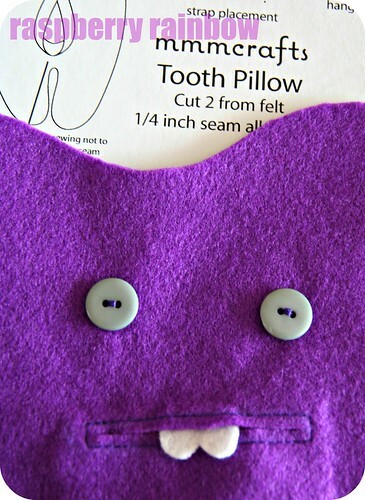 I am secretly making her this cute tooth fairy pillow. Lastly, I really need to finish this new skirt. One for me! I have had this fabric to make me a skirt for 2 years now. Ridiculous I know. I have been making hair bobbles out of this fabric, but thought I better make my skirt now before there was no fabric left for a skirt. 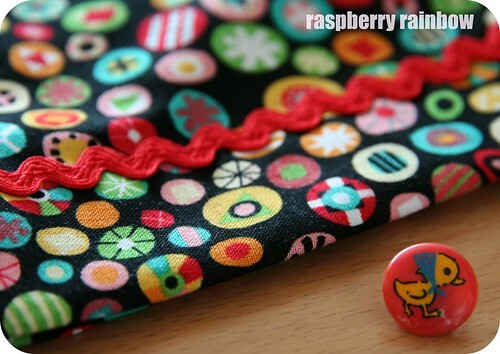 Today I will sew on this cute little duckie button, and tomorrow I will be wearing my brand new, hand made skirt. 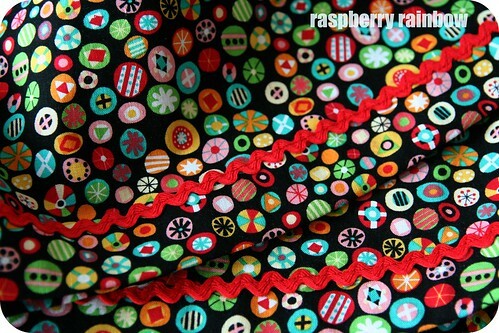 Love the fabric for your skirt, so fun! I am positively drooling over all the lovely fabrics you have! Oh that fabric for your skirt is gorgeous! Looks like the tooth fairy will be busy from now on at your house! I've been making tote bags..and have just posted a 'giveaway' for a little girl's pink tote bag..you may be interested. that tooth fairy pillow is just too adorable!!!! love love love! Thank you for visiting me. So glad it led me to your fabulous blog.